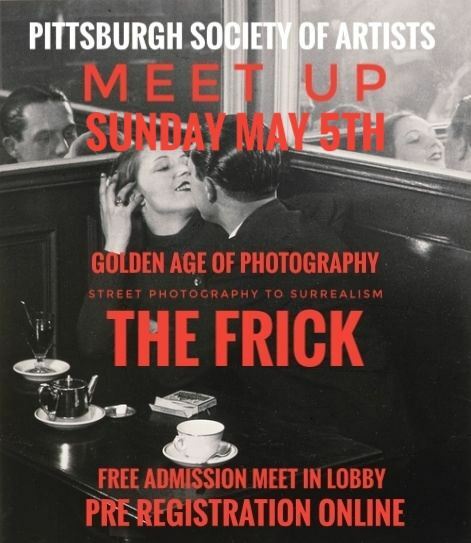 Welcome to the Pittsburgh Society of Artists Website! Turquoise mood. Oil on canvas 24x30 in. Wadi Rum on My Mind, detail, Acrylic & mixed medium. "Life in the Balance" ... the original sold 11/2018 and I have a giclee print in a very cool frame, 29"w x 39"h - massive and pretty striking. it's a beautifully awesome day "...in the neighborhood". Created this collage/mixed media with an upcoming ESAL show at Latrobe Art Center. please take a close look n' have fun. "Street Corner Gumbo" lots going on with this one...check out the upside down guy saying "walk this way please" Enjoy getting lost in this one. "the Cat Pyramid" genesis for a kids book - Andre is always on the bottom and G is always on top, cause she's the ...yep, you got it, because she's the smartest. your voice is now my favorite sound...and your name is now "my favorite noun" ~ a collage, fun good stuff. "You had me at woof"
one of my biggest hits. "Urban Union" the original is still available, but hanging in my home, ha. "Greenback Mackerel" - my most favorite ink drawing, enjoyed every pen stroke. Mixed media construction on a wood box from wall plaques. Computer hardware salvage, found objects, dry point etched hard drive discs by the artist. Listening to the Ocean. Oil on canvas 18x20 in. Icon Painter Shrine. Interior Detail of crucifix. Icon Painter Shrine. Interior detail. Icon Painter Shrine. Mixed media, June, 2018. 15.5 " high x 21" wide (with doors open) x 5" deep. Street Light. 12"x12" oil painting. Identity Mask: Some Day We Will All Be Icons. Photo collage. Golden Sunset. Oil on canvas 12x16 in. Portpait of grayhounds. Oil on canvas 12x16 in. Untitled. Digital Photograph. 2017. $300. Herr & Shoup. Digital Photograph. 2016. $300. Garden Rumors. Oil on raw linen. 42" x 42," 2017. $1,300. February Mail. Digital Photograph. 2016. $300. Rosary. Digital Photograph. 2017. $400. Open My Door. Fabric collage on door frame. Mixed media. 2017. $1,100. Pink Poison, Gender Studies. Mixed media, gold on birch board. 30" x 20" dyptych. 2017. $1,200. Secret Street. Digital Photograph. 2016. $300. Rose Petals Fell Where She Touched Me. Oil on linen. 38" x 48," 2017. $2,100. Cat Scan. Acrylic on board. 12" x 12," 2017. $400. okeweemee with feet, gold and horsehair reduction. Calmando, oil on linen, 16" x 60"
Coloratura, oil on linen, 16" x 72"
RESTORATION VACATION. Mixed media & acrylics. 36" X 48"
Fin. Acrylic & mixed media. 12" X 18"
TANGLED UP IN BLUE. acrylics collage. 16" X 21"
Homage to vermeer-The Astronomer 2016. acrylics. 17" X 19"
DEATH OF THE COLORADO RIVER. acrylics. 31" X 36"
"Connemaugh PowerPlant" digital infrared print. "Homer City Power Plant" digital infrared print. "Colors of the Sea" | Mixed Media on Watercolor Paper | 8x10"
"The Reckoning" | Acrylic on Canvas | 16x20"
"Home of the Water Guardians" | Acrylic on Poplar Wood | 6x12"
"Medicine series X ah ray vision" Silkscreen/Lithograph approximately 24" x 30"
"Medicine series: visual delights no 1 (with ribbon)" 03-1979 Silkscreen/lithograph print on toned paper. 22" x 32"
"Medicine series faye's anatomy" 36" x 48" surreal figure with King Kong Mixed media: acrylics on canvas with collage, pastels, Char-kole Fantasy about King Kong and Faye Wray. "Sea Turtle" by Gabrielle Burke. Ink and Watercolors. 5x7. Gabrielle Burke. Ink and Watercolors. 14x17. "Taijo" by Gabrielle Burke. Ink and digital media. 11x14. Drawer detail of "Figured Out" by Mike Korsak. Detail of "Figured Out" by Mike Korsak. "Figured Out", a side table with attitude. Made of curly birch and rosewood by Mike Korsak. Edge of Aquarii - Marlene Boas, Encaustic, 40" x 30"
The P I T T S B U R G H Society of Artists was founded in May 1965. With more than 300 members, whose work represents all visual-arts media. 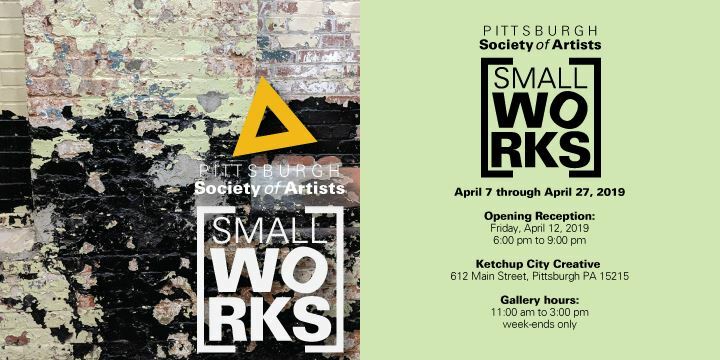 In 2015 PSA marked its 50th year dedicated to providing its members with opportunities to exhibit their art, both in the Pittsburgh area and beyond southwestern Pennsylvania. In addition to providing exhibition opportunities, the Society since its inception has been dedicated to encouraging creative thinking about the arts through public dialogue. At our general membership meetings, held twice a year, the guild engages speakers to explore some aspect of the arts. The general public has always been invited to these stimulating programs. Any individual eighteen years old or older who lives within 150 miles of Pittsburgh may apply for membership by submitting three original pieces of art to a screening by the Board of Directors. Screenings are held in the spring and fall of each year. We have converted to a new platform for our website with a completely new design and many great capabilities to serve both our members and our Board. A handy user's guide is now available by clicking here. For members, your username is your email address and your password was communicated to you via email. If you have forgotten your password, you can use the Forgot Password link to obtain your password via email.